Horror stories, movies, and comics reviewed. 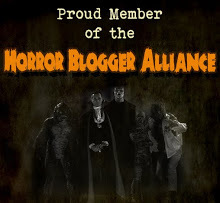 Blog name lifted from Ramsey Campbell. 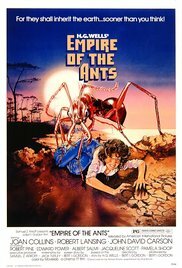 Empire of the Ants (1977): adapted by Bert I. Gordon and Jack Turley from the story by H.G. Wells; directed by Bert I. Gordon; starring Joan Collins (Marilyn), Robert Lansing (Dan), John David Carson (Joe), Jacqueline Scott (Margaret), and Pamela Shoop (Coreen Bradford): Not a good film at all, but magnificently entertaining. The ants only look 'real' when they really are real, and even then the fact that they're actually in a glass-walled container means that the composite shots seem to show ants walking on air, sometimes at right angles to the ground. Oh, well. Very loosely based on a story by H.G. Wells, Empire of the Ants follows an ill-fated group of people touring swamp-land-for-sale in the Florida Everglades with Joan Collins as the saleswoman. Unfortunately, radioactive waste that looks a lot like silver spray paint has caused ants to grow man-sized. Much death ensues until the movie shifts from rampaging bugs to cool, calculating bugs with 30 minutes to go. 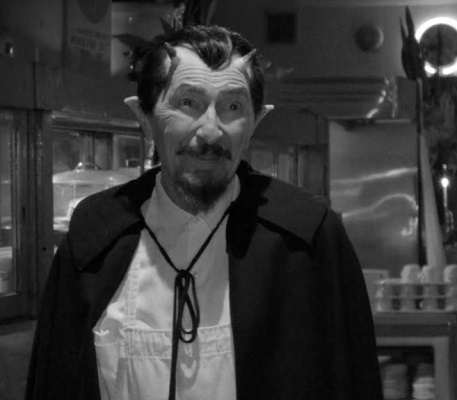 Schlockmeister Bert I. Gordon writes and directs with his usual enthusiasm. Recommended as an enjoyable bad movie. Under Construction. Picture Window theme. Powered by Blogger.